If you're looking for an easy weeknight meal, this is it! 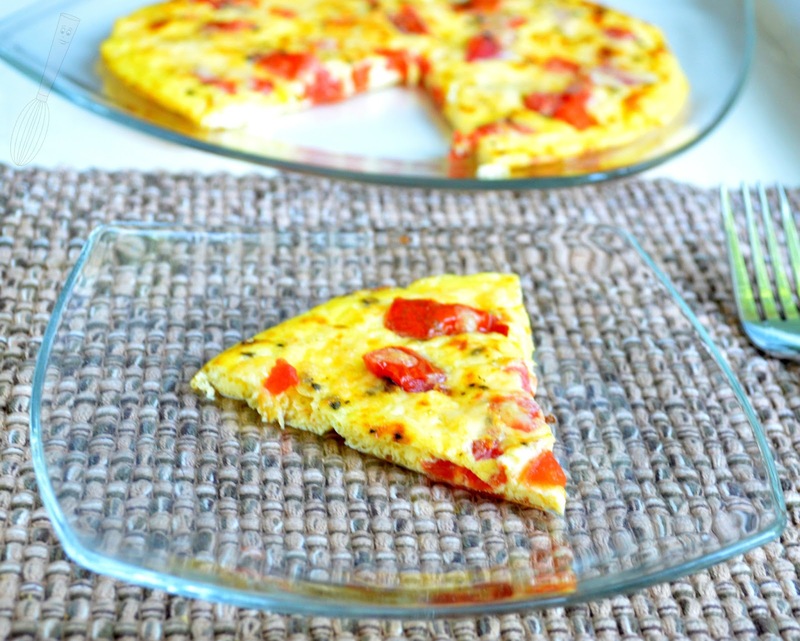 A frittata is so simple to put together, you can add anything that you want to, and it doesn't take more than 20-30 minutes (depending on how wild you get with ingredients). Fresh tomatoes are one of my favorite foods when they're in season because their flavor is so rich and sweet. They just make everything I add them to taste even better than I thought it could. I have a secret. For several years I wouldn't eat eggs. Ever. Well, not as eggs (hard boiled, scrambled, fried), none of it. I did eat them in baked goods because it was sort of like they weren't there. I don't have a good reason either for not eating them. I have never been vegan (I love chocolate and cheese way to much). I'm not even sure I was vegetarian at that time, because there were a few years when I ate meat again but that was a long time ago. I just didn't like them. I'm not really sure what turned me around, I just started eating them again slowly. 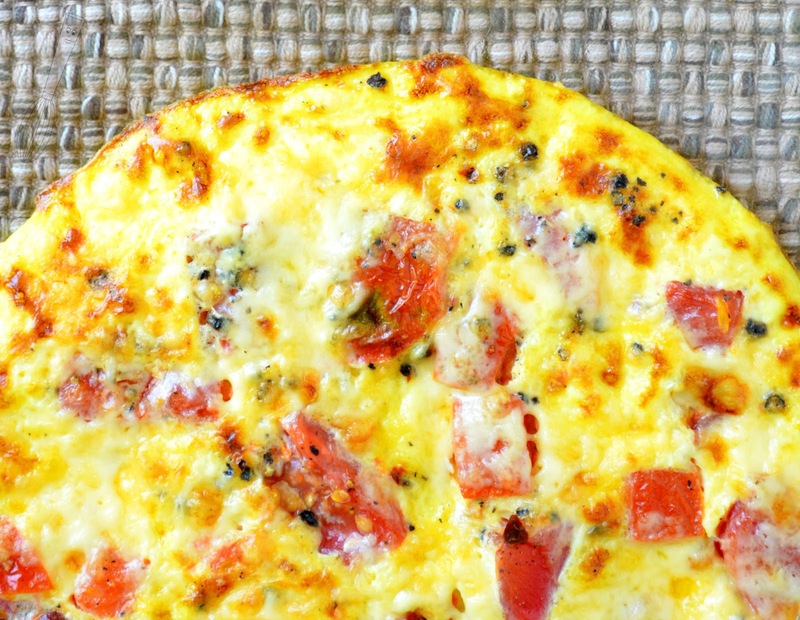 This frittata makes me glad I do eat eggs again. All of the tomato goodness and red pepper flakes, and cheese. After talking about my love for tomatoes it isn't even the tomatoes that make this frittata as good as it is. It's the smoked gouda. Man...I love smoked gouda (see? never could be a vegan). I haven't had it in so long I forgot how good it was. I actually bought the gouda for a beer and smoked cheese dip, which turned out pretty awesome. Carrots and toasted baguette slices...Anyway, the flavor of the smoked gouda really makes this an unbelieveable dish. Of course, if you're in love with another cheese such as some fresh cheddar then go for it. As I always encourage, make it your own! Happy cooking! 1. In a small bowl, stir together the tomato, salt, pepper, and red pepper flakes; let sit 10 minutes. 2. Whisk the eggs and milk in a small bowl until combined, stir in half of the cheese. Stir in the tomatoes. 3. Pour into a lightly greased 10” skillet and cook over medium heat for 4-6 minutes or until set. 4. Sprinkle the remaining cheese evenly over the frittata and broil for 1-2 minutes or until the top of completely cooked, lightly browned, and the cheese is melted. Let cool 2-3 minutes, then slice into wedges and serve.